Talikkala area was known for its many brickworks, the remains of which could still be seen in the area at the beginning of the 20th century. According to a map of 1913, there were several dozens of pits from which the brickworks had taken clay. The pits accumulated plenty of water and a small ditch ran into Papulanlahti. The earliest information on inhabitation is from the end of the 18th century. In 1873 there were only nine houses in Talikkala area. According to the statistics of 1898, the number of houses was 356. The area was called Rosuvoi or Tiiliruukki until the beginning of the 20th century. In 1901 a large fire destroyed 98 buildings and approximately 2000 people ended up homeless. Talikkala was incorporated into the town of Vyborg in 1924 when its borders were defined based on a new town plan. Some of the houses were old but the western parts were built in accordance with the new town plan immediately after the incorporation. These areas had a working municipal engineering at the end of the 1930s. 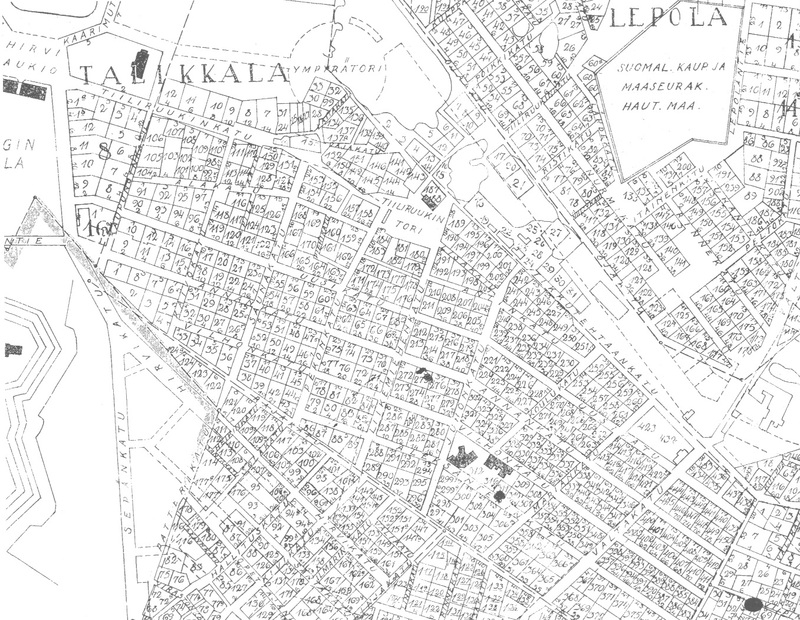 Talikkala had a coeducational school at the corner of Hirvikatu and Talikkalankatu streets. A children’s home was located at the beginning of Tiiliuuninkatu street, close to the town hospitals. A round paddling pool with a fountain was built into its yard in summer 1939. For example, a joinery shop of Viipurin Puutyö Oy, Kotileipomo T. Kosonen, Leipomo V. Kiiskinen, Leipomo ja kondiittoria Y. Runne, Leipomo T:mi M.H. Salmi, and Haakanan Leipomo were located in Talikkala.